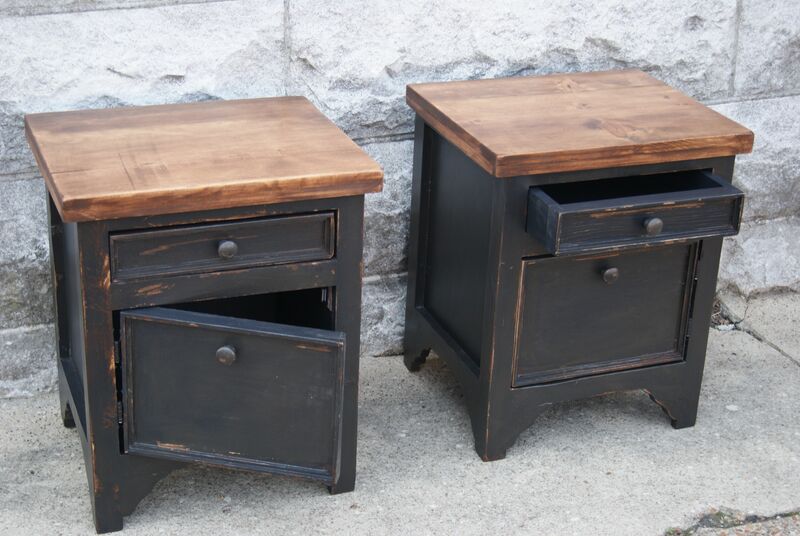 End table featuring a door and drawer. These can be made into any size and color. 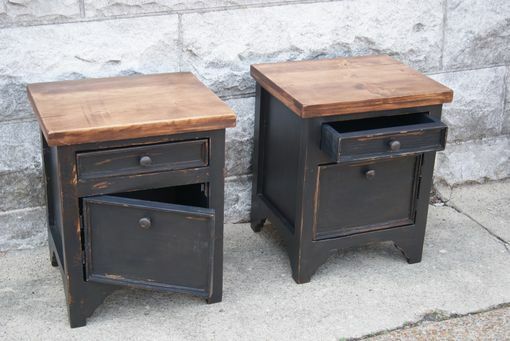 Price is for one end table. Shown in a pair.